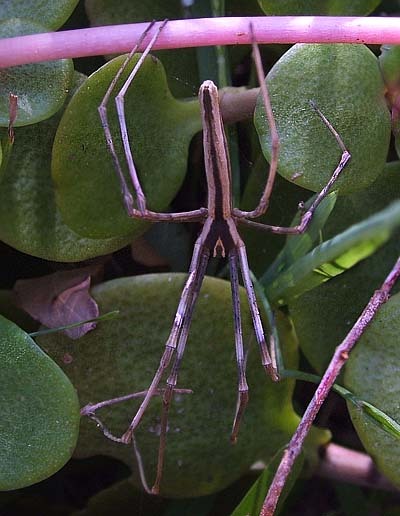 These spiders hunt using an amazing net of about 2cm square. They relax and hold the net loosely until they see prey. They move into casting range and spread the net tightly between their legs before using the tension to flinging it over the prey. The net probably snaps back into shape as it stikes making the contact with the prey even more secure. 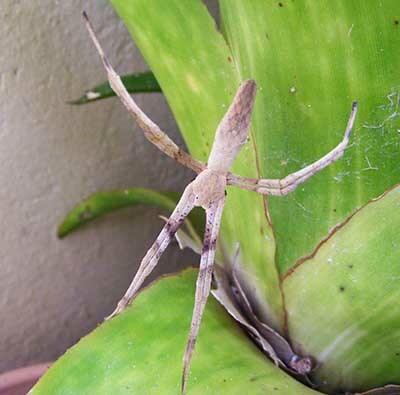 The Web-casting Spider hunts at night. All of the pictures above the hunting scene are of day-time resting spots or resting by their hunting spot. 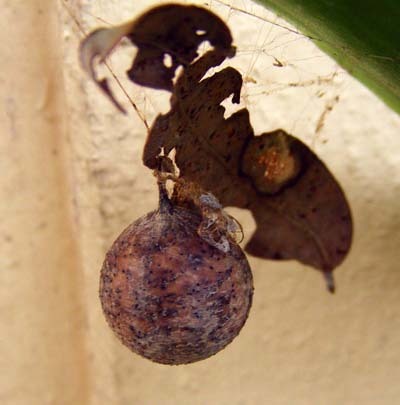 These spiders make a relatively large, round globe for their eggs and use leafy detritus to assist to disguise it from view. Below.